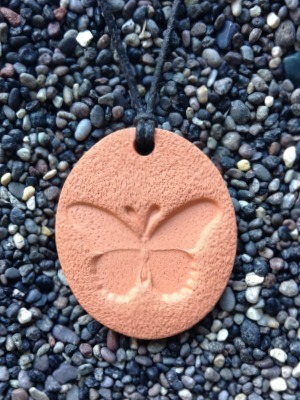 A butterfly is a powerful symbol of change. It begins its short life as a crawling creature, and undergoes a metamorphosis, transformation and rebirth, to become a beautiful, colorful creature of the air. Called “a dance of joy” the Butterfly reminds us that we can choose to move gracefully through the changes in our lives, focusing on the things that bring us joy! The butterfly’s message is to not take life so seriously. I’m just like Simone, I like everything with butterfly. They symbolize life for me and they carry messages from our loved ones from heaven.